theme, for example, contrasting the choice between combatting inequality and promoting development in urban regions, and between affirmative action and advancing diversity.Later chapters highlight the book's key contribution--the application of social equity principles in practice--with chapters on health, criminal justice, education, and planning. Additional chapters examine the ways that social equity can be advanced through leadership and policy/social entrepreneurship, assessment of agency management, and managing human resources. 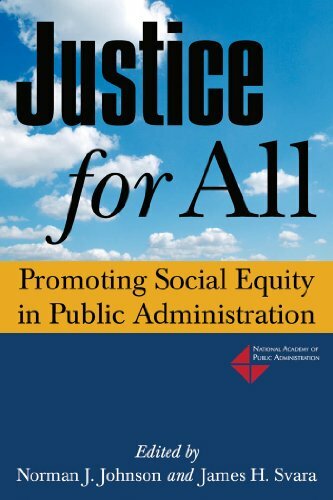 The book concludes with an agenda that affirms a more active and comprehensive definition of social equity for the field and elaborates how that definition can be converted into actions supported by the measurement of access, proceduraal fairness, quality, and results.